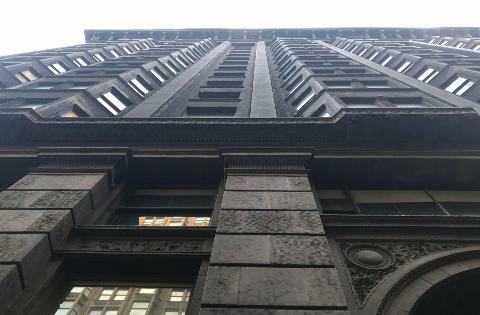 This free Chicago walking tour of the Monadnock Building showcases its monumental architecture, gorgeous interiors and fascinating history. The groundbreaking restoration of this 19th-century skyscraper demonstrates the value of preserving historic architecture. Gratuities for this brief and mostly indoor tour, which is available for a limited time, will benefit Preservation Chicago! On this free Chicago walking tour, you’ll discover the elegant architecture of the Monadnock Building, one of the oldest skyscrapers of downtown Chicago. During your 30-minute-long architectural walking tour, your professional tour guide will share the larger-than-life story and structure of this classic 1890s skyscraper. You’ll enter the building to experience the Monadnock’s inspiring interiors. The tour will be inside 75% of the time, meaning you’ll be comfortable on this tour even in inclement weather. The tour group starts in a cafe, and then steps outside to contrast the dark brick of the Monadnock Building with the gleaming terracotta of the neighboring historic Fisher Building. Once inside the Monadnock, it’s like stepping back to 19th-century Chicago. 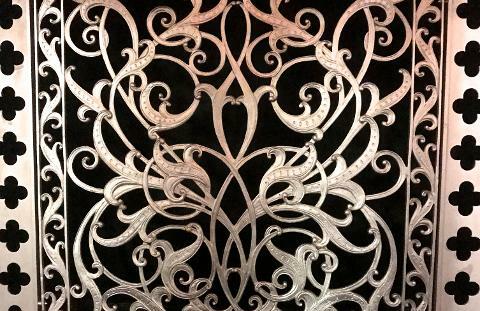 Tour guests see architectural details like intricate brass doorknobs, glamorous aluminum stairs and old-fashioned mailboxes. You’ll also see old-time businesses like a haberdashery and florist. The original look and feel of the Monadnock was carefully restored in the 1980s. 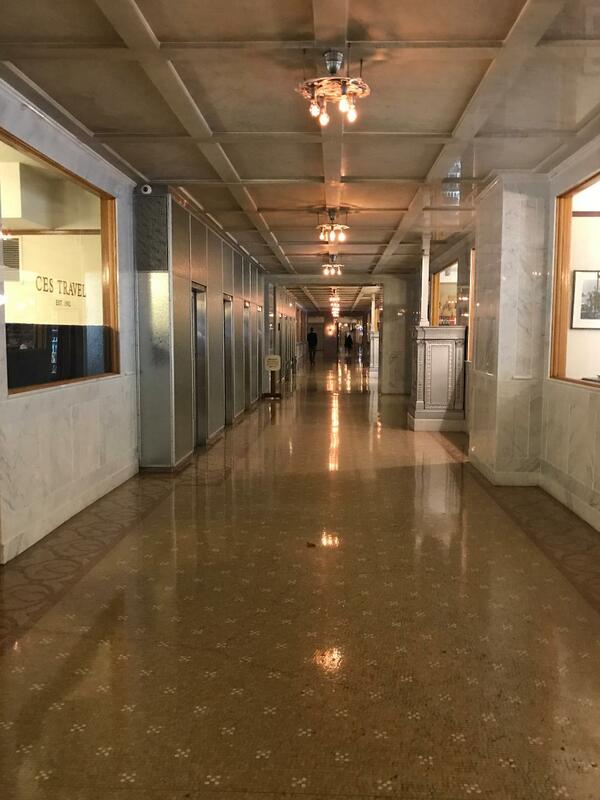 Thanks to the foresight of the building’s current owner, today our walking tour groups can enjoy the enchanting details and extravagant materials of commercial architecture from a century ago. After we explore the Monadnock’s beautifully restored interiors, we step outside briefly. Here our free walking tour concludes by connecting the Monadnock’s monumental exterior with Mies Van Der Rohe’s modernist style across the street. Please note that because we are walking and standing on the tour we have to call this a “walking tour” but we are not walking much distance at all. This tour is free and offered weekly on Fridays until December 8th. Reservations are required! Please book now. WHY ARE WE OFFERING THIS WALKING TOUR FOR FREE? As a top-rated tour company, with professional (not volunteer) tour guides, why are we offering this Chicago walking tour by foot for free? To give back to the community! Tour guides will donate all gratuities to Preservation Chicago. To welcome new walking tour guests! Come experience our style of walking tour. To thank our previous tour guests and see them again! Lastly, the Monadnock Building is our office home. We love sharing our appreciation for the Monadnock Building’s incredible architecture on this free walking tour. Tour meets inside Dollop Coffee at 343 S. Dearborn. Look for the tour guide with the name tag and clipboard.